Your Focus, what did you think about this chapter? I must confess, I had a very difficult week, with hard choices, heartbreak, dissension with my spouse, and depression. And why do you think this occurred? The answer is simple–the enemy is real! When you hear the word focus, you may think of cameras, photos and such, but it’s meaning is bigger and more powerful when it refers to your prayer strategy. As a noun, focus is defined as the center of activity or interest; as a verb it means to pay particular attention to. Think about it? With the blink of an eye, a mole hill becomes a mountain, and what seemed like a mild disagreement has turned into an all out war! The enemy has studied you and he knows where you are weak. He knows what gets under your skin. He knows just what buttons to push to set you off on a tangent, taking your focus off of who you are and Whose you are. I urge you to take time to pay particular attention to the heart of the matter and you will see who’s right in the middle of what’s going on? More times than not you will find it’s not who you think or you may have just lashed out at someone other than the real enemy. You need to have a grown-up understanding of the existence of evil spirits (Ephesians 6:12) because the enemy is not a red cartoon character with horns and pitchfork. He walks the earth among us. In the book of Job, God asked him, “Where have you come from?” and the enemy replied to the Lord, “From roaming throughout the earth, going back and forth on it,” (Job 1:7 and Job 2:2). Think about this warning to stay alert (1 Peter 5:8)? The enemy is real and you don’t want to underestimate him because this is not a make-believe story. The enemy wants you to focus on worldly things, where as we have been told to set our minds on things above (Colossians 3:2). In order to effectively fight in a battle, you have to dress appropriately. It’s time to suit up in armor of God as outlined in Ephesians 6:10-18. Don’t pretend that the enemy isn’t real. His tactics are just tactics. You have the most powerful weapon to wield against his maneuvers, prayer. Use it wisely. If the demons believe that there is one God (James 2:19), why would you chose to believe the enemy isn’t real? Take some time to really think about where the enemy continually attacks you. You know where you are sensitive. You know what triggers those old feelings you’d rather leave buried in the recesses of your mind. You know where you are vulnerable. For each area where you are prone to be attacked, pick a Truth from God’s Word that invalidates the lies the enemy tells you. God is the same every day, He does not change like shifting shadows. You are chosen. You are God’s own possession. 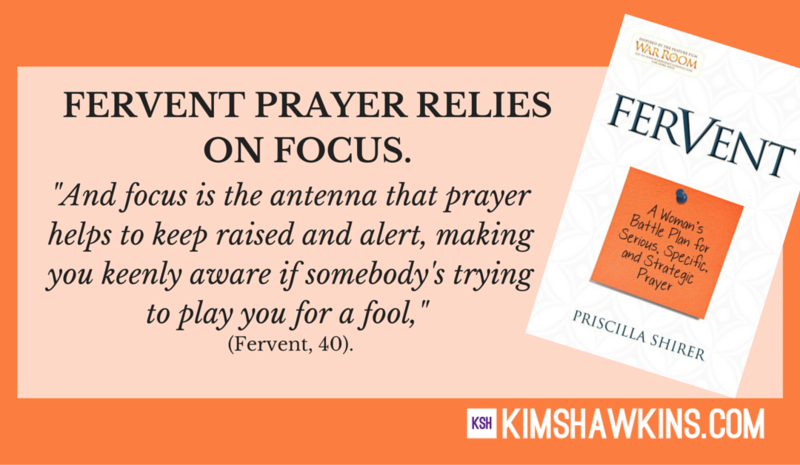 Are you ready to write your prayer strategy card for your focus? 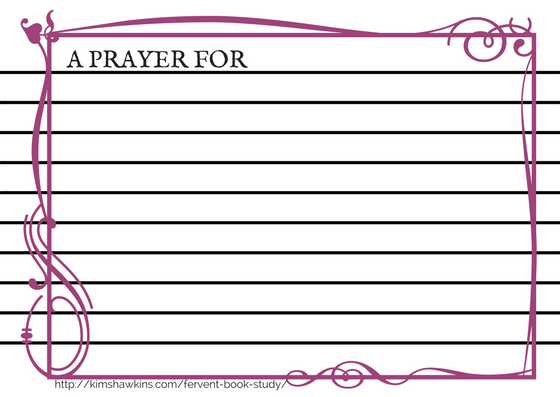 Click here to download your printable prayer card. Share this blog post, or your favorite quotes, with your friends by clicking the social media icons on the left side of this page.